You could have your business's name stenciled right there -- for the right price. Hey you? Yeah, you with the hat. 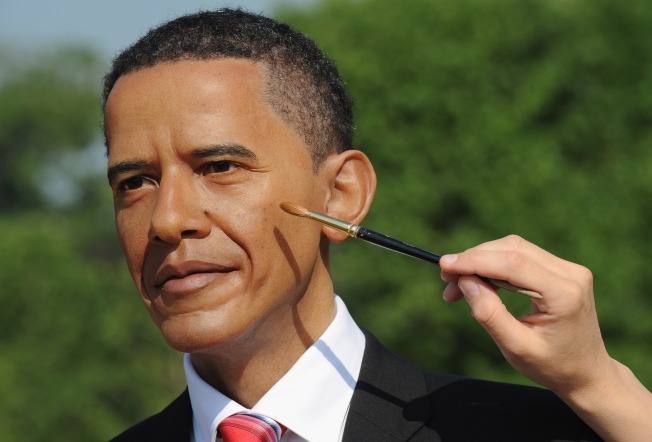 You like creepy lifelike wax figures? Yeah? Good. You've got a few extra bags of cash sitting around? Even better. Have we got a business proposition for you. Madame Tussauds wax museum is looking for some sponsorships, says the Washington Business Journal. No, this isn't anything creepy, like you being able to tattoo your business' logo into the side of your favorite historical figure with a hot needle. This is pure class. All class. "Our new exhibit will be the first of its kind, enabling visitors to be part of American history in an unprecedented, fully-interactive manner. We hope to find a partner who shares our vision for creating an exhibit that provides people of all ages with an opportunity to experience our nation's rich history in an exciting new way." What new breakthroughs in wax-making technology have their been? Could it be animatronic wax? Is this Westworld come to life? All it'll take is a giant pile of money, and you can find out.